mycatsandcatstories – It's a cats life. Of cats, their garden and stories about them. The Cat with the Snail in the Tail, Book. This site is about my cats and their world, and also a couple of stories I have written about them. 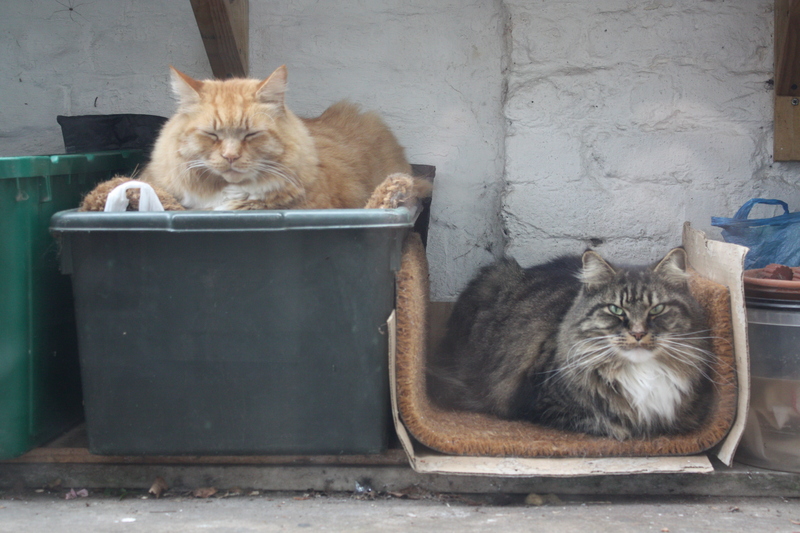 The cats, Ginger and Crumb (and Blackie the stray cat), are all introduced on a page called ‘My Cats and their Garden’. The diary is about their day to day life and whatever interacts with them. Their world is full of tiny things, spiders, butterflies, all kinds of insects. These little creatures are around them every day when they go outdoors, or get into their cat shelters. Posts about them are in the Garden Diary. The two stories (so far) are fully illustrated books that describe segments of the lives of the cats in story form. They are online for anyone to read. Links through to the stories are on this site form the book pages. The cats, my mum and myself all live in Stoke Newington, North London, England, in a Victorian brick house. https://mycatsandcatstories.wordpress.com/category/cat-diary/ A diary of all things cat. https://mycatsandcatstories.wordpress.com/category/garden-diary/ A diary of all thing in the garden, the mini creatures the cats encounter of simply share the garden. https://mycatsandcatstories.wordpress.com/blog/ An introduction to the cats and the cat shelters. https://mycatsandcatstories.wordpress.com/the-cat-with-the-snail-in-the-tail-book/ About an online book for young children about Ginger and a snail. https://mycatsandcatstories.wordpress.com/the-cats-christmas-book/ About an online book about the cats one Christmas day for older children. I hope you enjoy meeting us.